Our dash insert for your 1948-50 Ford Pick Up fits in the factory location but allows you to use modern, dependable, new instruments. Our two piece design uses a polished aluminum backer with a stainless steel face plate that we "engine-turn" in house the old-fashioned way. 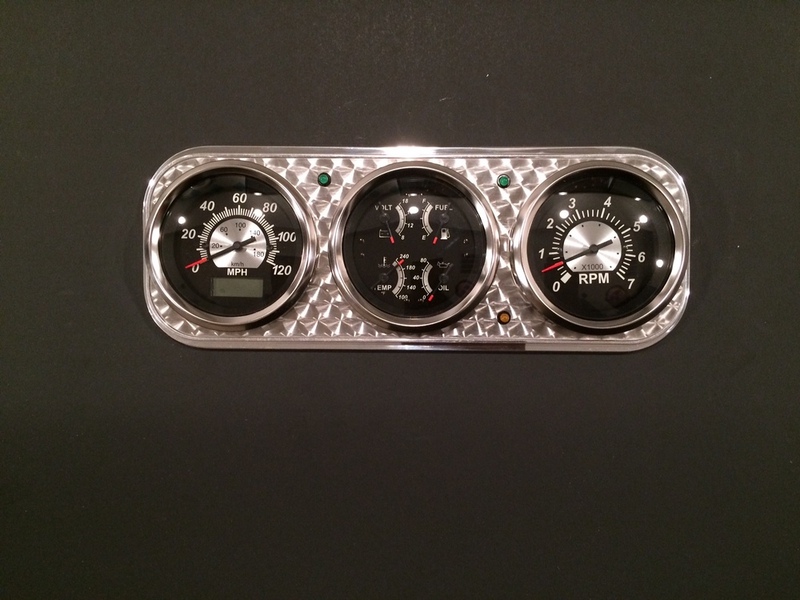 The gauges install from the back or front with these Autometer Instruments and our kit comes with hardware to install them in the dash insert as well as LED indicators for directional and high-beam indicators, dash mounting brackets, and instructions. 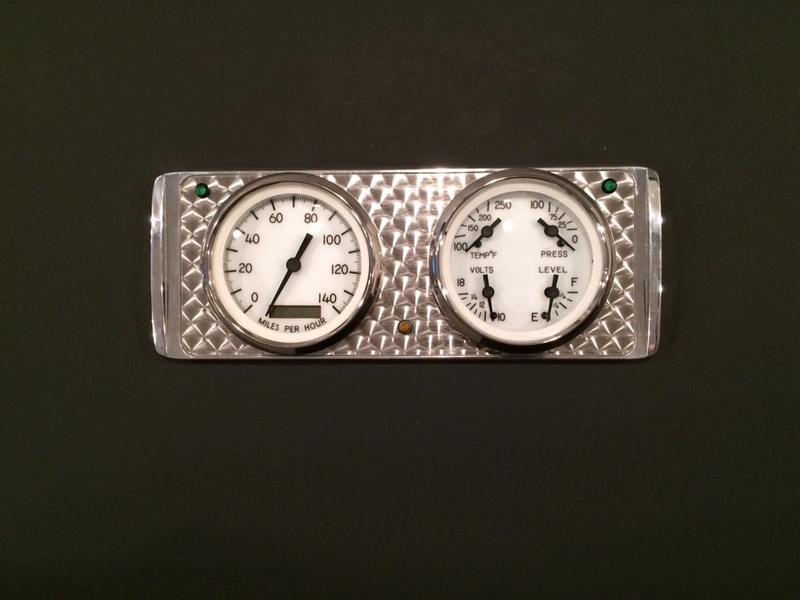 We combine the dash insert with Autometer Old Tyme Black, Old Tyme White or Antique Beige Series Instruments. These gauges ship with all senders and feature classic American styling along with race proven air core movement, traditional incandescent lighting and pointers, as well as stepped stainless-steel bezels. Easy to calibrate electric programmable speedometers are available with rolling odometers for a great traditional look or you can opt for a GPS Speedometer (pictured in Antique Beige) that uses global-positioning-satellites to tell your speedometer how fast you are moving across the earth.